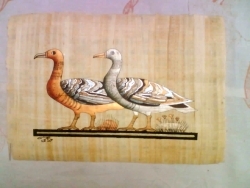 The Meidum Geese from Nefermaat's mastaba hand painted papyrus papers made and painted in Egypt. 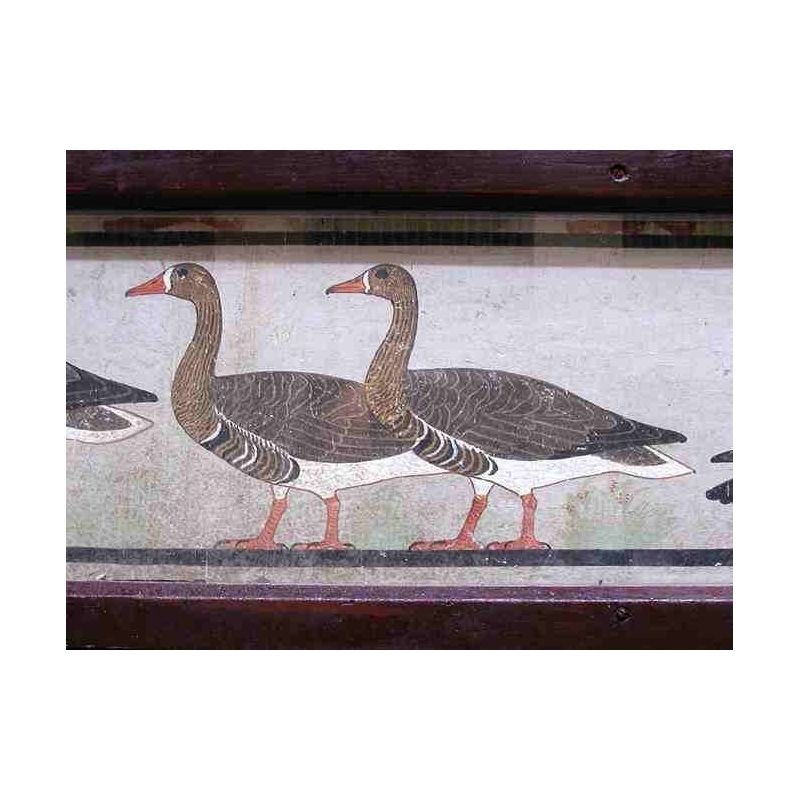 Nefermaat was a prince he was the eldest son of Sneferu. 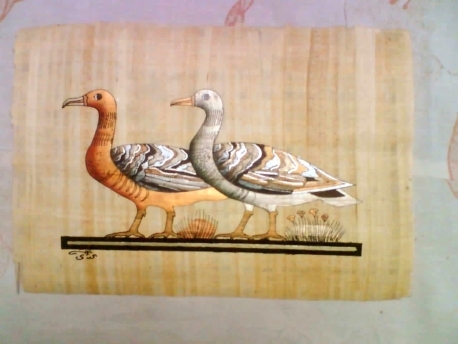 Nefermaat was buried in mastaba 16 at Meidum his tomb was full of drawings, one of those drawings is group of 6 geese.